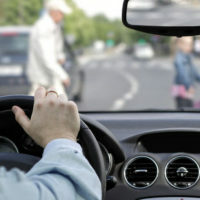 Until recently, law enforcement bias leaned in favor of the driver, leaving many pedestrian car accident victims to have to argue—oftentimes fruitlessly—their case in court. Like all car accident injury claims, the injured party bears the burden of proving their case in court with admissible evidence. Unfortunately, without police reports backing their statements, this is difficult to do. At Spencer Morgan Law, we fight for justice for all accident victims, whether they were in a vehicle, on foot, or on a boat at the time the accident occurred. If you or a loved one was injured in a pedestrian car accident, reach out to our team of experienced car accident lawyers for immediate legal assistance. According to the Florida Department of Transportation, discussions are in the works about how to make Florida roads safer for pedestrians. For instance, on some state roads, FDOT has implemented a pilot program in which speed limits are reduced by as much as 20 mph. In other areas, such as along U.S. Highway 27 in Leesburg, the state is installing roundabouts. Roundabouts have 90% percent fewer accident fatalities and 75% fewer injuries. Pedestrian accidents are lowered by 10 to 40 percent. Fort Lauderdale has partnered with Vision Zero, a program that aims to achieve a Zero Percentage of Road Deaths by the year 2035. The project involves a five fold approach: education, engineering, evaluation, encouragement, and enforcement. To prevent pedestrian accidents, the initiative proposes to make sidewalks more readily available and to revamp the management and flow of traffic and congestion. While talks are promising, the fact remains that there are far too many pedestrian car accident victims who receive little to no compensation for their injuries or losses. Unfortunately, the way the law is set up now, many accident victims believe that they were at fault and so choose not to pursue damages. At Spencer Morgan Law, we encourage you to speak with a Miami car accident attorney, at the very least, after being injured in a pedestrian car accident. No assumptions should be made about who was at fault until you have consulted with a knowledgeable lawyer. If you were injured in a pedestrian car accident in Miami, reach out to the legal team at Spencer Morgan Law to schedule your free consultation today.